Like all of life's big decisions, buying your first home can be as stressful as it is rewarding. A first home is likely to be the most significant purchase you'll ever make, and one that you've spent years of your life saving up for. With so much riding on the investment, you don't want anything to go wrong. Yet you've also never done this before, meaning it's hard to know whether you're getting anything right. The best way for first-time homebuyers to proceed is by learning from the mistakes of others and making sure not to duplicate them. Here are some of the most common errors made by those new to the world of real estate, along with some sage advice on the best ways to avoid repeating them during your own homebuying process. Many eager, aspiring homeowners start attending open houses before they've determined whether or not they can afford to live in them. Not knowing your price range before you start shopping is a big mistake, and can lead to falling in love with a home you can't really pay for. To avoid this fate, calculate the costs of homeownership and see how they fit into your budget. See how much a monthly mortgage payment will cost on your dream home, and also calculate your ability to obtain a loan for such a purchase. When calculating your budget for a new house, you should factor in not just monthly payments, but also the various one-time fees that can a account for thousands of dollars in closing costs, as well as the amount of money you plan to put down. 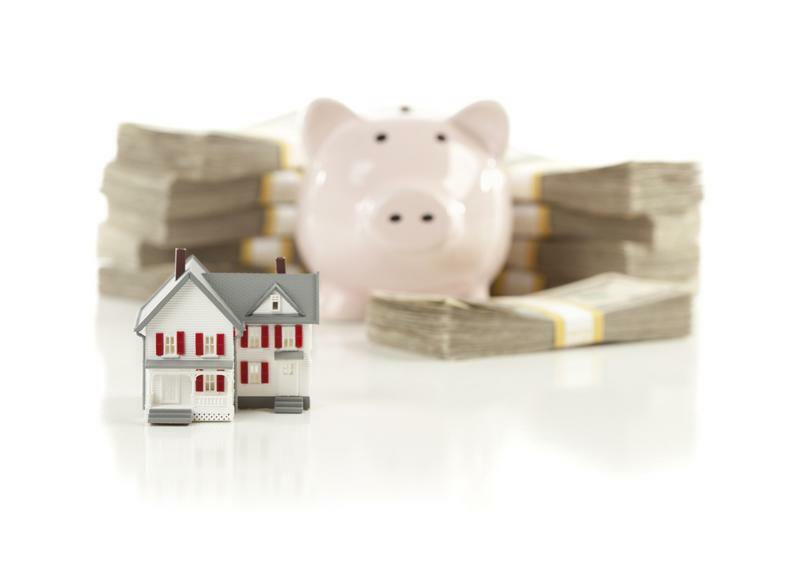 The bigger your down payment, the smaller your monthly payments will be, which is why experts have traditionally recommended putting 20 percent down, although that rule of thumb is rarely followed these days. If a down payment simply isn't in your budget, Landmark does offer low or zero down payment mortgage options, and even provides qualifying first-time homebuyers with a $700 credit toward their closing costs. Still, it's important to make sure your budget can handle a monthly mortgage with a higher principal. When making a decision about if and how much to save for a down payment, consider a variety of factors unique to you, including how much you already have saved, what your other financial goals are and what your current and projected income is. Keep in mind that emptying your savings account just to make a larger down payment can prove to be a much bigger mistake than making a down payment that's too small. Try to determine how much, if any, you should save up for a down payment. Because the government wants to incentivize homeownership, there are a handful of federally insured mortgage options designed to help buyers finance their first home. Failing to take advantage of them could end up costing you a lot of money, or even keep you from realizing what homes you have the potential to purchase. Federal Housing Administration loans are an especially popular government-backed option for first-time homebuyers. An FHA loan allow borrowers with a FICO score of 580 or higher to obtain a mortgage with only 3.5 percent down. The relatively low credit requirement, small down payment and competitive interest rate are advantages that homebuyers should consider. Veterans Affairs loans, which can be obtained with no money down, feature even better perks, though are available to much more exclusive groups. Only select veterans, active duty military, National Guard members and reservists, or their surviving spouses, are eligible for VA loans. Mortgages insured by the United States Department of Agriculture also carry zero money down requirements for qualifying borrowers looking to finance a home in a rural area. Getting financing before you have a home picked out may seem like putting the cart before the horse, but the opposite is actually true. In fact, shopping for a house before a mortgage is another classic mistake made by many a first-time homebuyer. While house hunting may be more fun than talking to a lender, you don't want to waste time looking at homes that are not in your price range, or worse yet, get caught without financing when it's time to make a serious offer. According to NerdWallet, you can avoid this embarrassment by getting prequalified or preapproved for a home loan before you start shopping. Doing so will make your bid more competitive once the time comes to make an offer, as sellers will see proof that you can put your mortgage where your mouth is. If you've come this far in the homeownership journey, now is not the time to start skimping on the final essential steps. Yet one increasingly common mistake being made by first-time homebuyers is trying to cut corners on the home inspection. "Some buyers want to save a few hundred dollars by not having an inspection done or by having their family member who isn't a licensed inspector do the inspection," Michigan realtor Daniel Gyomory recently told U.S. News and World Report. "This is a very big mistake." A solid home inspection is an investment that shouldn't be neglected, as undiscovered roof leaks, foundation problems, mold issues and the like can wind up costing you a lot more than a couple hundred dollars over the life of your homeownership. If you budget well, finance wisely and spend responsibly, you won't have to worry about regrets taking up space in your home sweet home.